Transfer the dough to a piece of parchment or a lightly floured work surface. Pat and roll it into an 8″ x 10″ rectangle about 3/4″ thick. Cut the dough into twenty 2″ squares. If you’ve been working on parchment, simply lift the parchment onto a baking sheet. Separate the biscuits so there’s about 1″ between them. 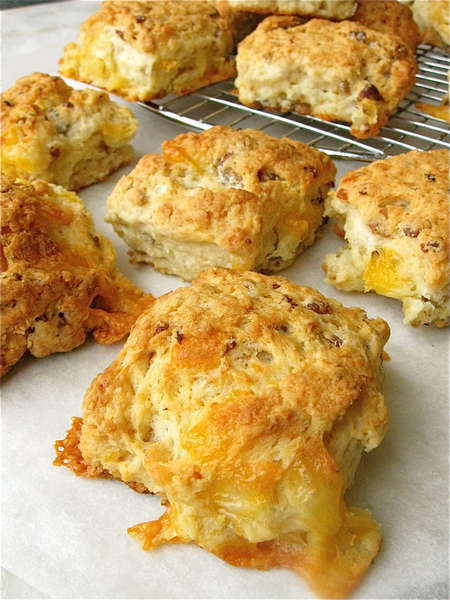 If the biscuits aren’t on parchment, space them on a lightly greased baking sheet, leaving about 1″ between them. Bake the biscuits for 20 to 25 minutes, or until they’re a medium- to deep-golden brown.